Welcome to the Point Blank Gym website. 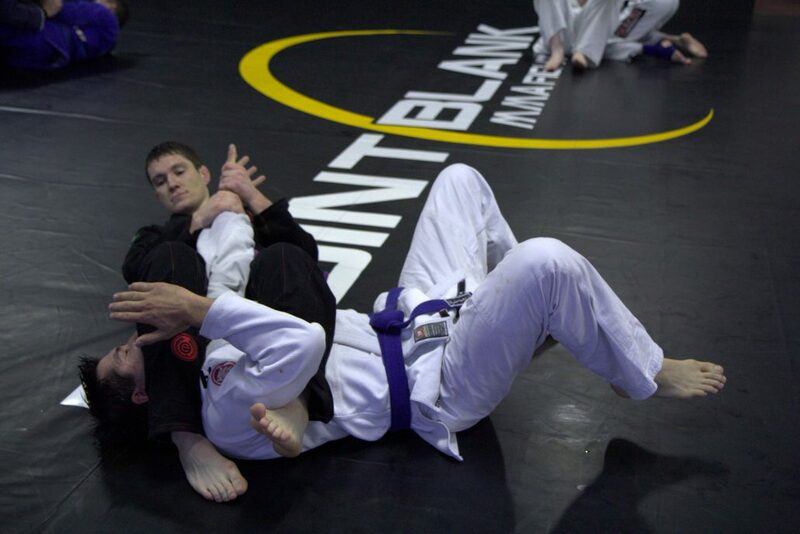 We are the premier location in Galway for Mixed Martial Arts and Brazilian Jiu-Jitsu training. 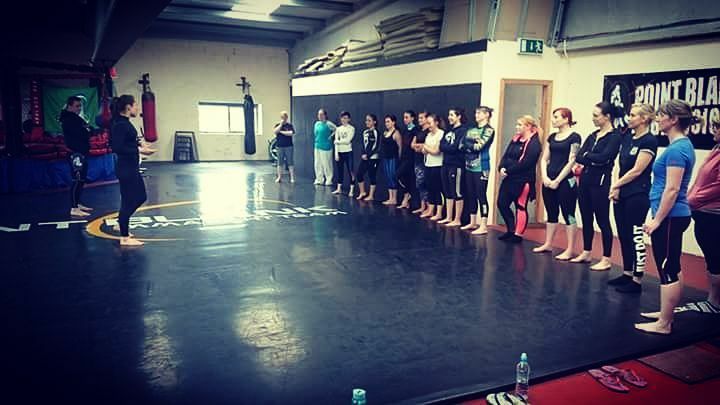 Our coaching staff features fully qualified IMMAF coaches, BJJ black and brown belts as well as Irish MMA veterans. If you’re interested in receiving information on our classes, or have a specific question about what we do then please call, email or fill out the contact form location here. Brazilian Jiu Jitsu (BJJ) is a grappling martial art; in other words, no strikes are allowed. You can win a BJJ match either on points or by applying a hold to your opponent that forces them submit (to tap out). BJJ focuses on technique, skill and the correct use of leverage. This means that it can be used by a smaller opponent to defeat a much larger one. BJJ was developed in Brazil by the Gracie family. It differs from traditional Japanese jiu jitsu in that it is more combat-oriented and focuses on training against fully resisting opponents. It gained an international audience when Royce Gracie used it to win at the early UFC tournaments, defeating strikers and wrestlers who were often much larger than him. After its efficiency against other martial arts was repeatedly proven in the UFC octagon, it became widely practiced by mixed martial artists. Now it forms the basis of the MMA ground game. We run ladies only Brazilian Jiu-Jitsu classes twice a week. BJJ promotes the concept that a smaller, weaker person can successfully defend against a bigger, stronger assailant by using proper technique, leverage. Classes are taught by Coach Olga Lyashevska. Olga is a black belt in both Brazilian Jiu-Jitsu and in Judo and is an experienced international competitor, Olga recently won a gold medal at the World Master Jiu-Jitsu Championship. Classes run every every Wednesday and Friday at 6pm and you can try them out for FREE for two weeks! Brazilian Jiu-Jitsu (BJJ) is a grappling martial art; in other words no strikes are allowed. BJJ focuses on technique, skill and the correct use of leverage. This means that it can be used by a smaller opponent to defeat a much larger one. Whether you just want to get fitter and learn a new sport, or whether you have ambitions of one day competing, there is a place for you in at Point Blank Gym. We have a friendly and welcoming team atmosphere that is suitable for complete beginners. Classes will run every Wednesday and Friday at 6pm. We are currently running a new promotion where you can have a 14 day, no obligation, free trial before signing up so feel free to call down and try out some classes at no charge. In these classes the normal BJJ uniform called the gi or kimono will be used. However you don’t need one of these to get started. All you need to bring are shorts or tracksuit bottoms and a tshirt. A bottle of water would be a good idea too! Our new ladies program is aimed at complete beginners; no previous experience of any kind is needed or expected. Not at all, as we always say, getting you fit is our job. It’s natural to be a bit worried about not being fit enough to train but it is really not an issue. Once you start training in BJJ you will start getting fitter as you are learning. Everyone gets tired during their first class but you’ll be surprised how quickly you start coming up to speed. Email info@pointblankgym.com or call 0876962819 to receive more details. Mixed martial arts (MMA) is a full-contact combat sport. 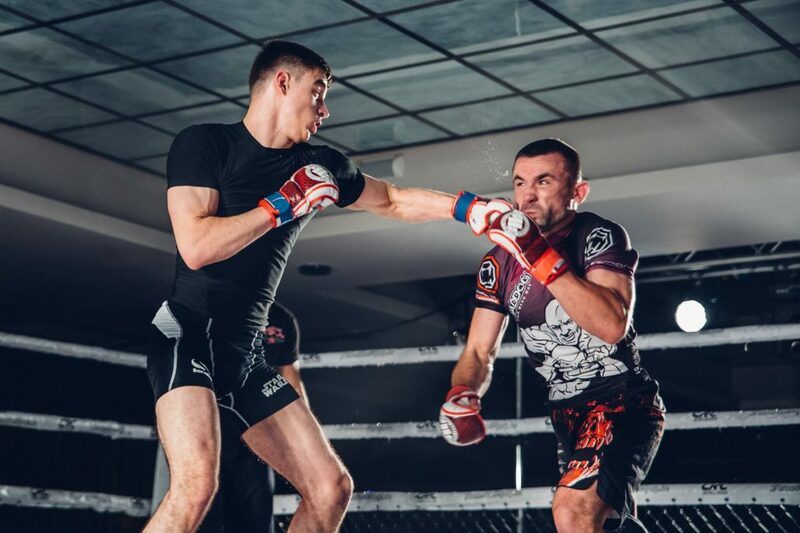 You can incorporate techniques from any martial art into your MMA game; however, the most effective and most popularly-used combination of martial arts is kickboxing, muay thai, wrestling, and Brazilian jiu-jitsu (BJJ). An MMA fight starts off standing, and the fighters usually begin by using kickboxing and muay thai striking techniques until one of them uses wrestling to bring the fight to the ground. There the fighters usually use a combination of BJJ grappling techniques along with striking. Striking on the ground is known as ground and pound (GnP). 30 Glenrock Business Park, Ballybane Industrial Estate, Co. Galway.